More than 150 years prior, there was a battle in Sharpsburg, Maryland. Then it was for independence; now it will be for survival. The people of a small prepping community just south of Sharpsburg should have been ready when the end of the world as we know it arrived. They had extra food and water; they had guns and plenty of ammunition. They had all sorts of the necessary supplies. If they only would have known just how bad things would become. When the end arrived, all seemed well…at first. The community council convened, making sure that all needs were met. Shortly after that, things started to fall apart. Working vehicles were nowhere to be found. Generators that should have provided power didn’t. Even the presence of a former Marine and all of his survival knowledge didn’t save them from hardships during the first harsh winter. Spring arrives with a new set of problems. Discontent, deserters, arguments, and trouble from the outside world. As the situation worsens the group finds it must fight to survive, fight to keep what’s theirs, fight to stay alive. Who will be remain standing, who will live? 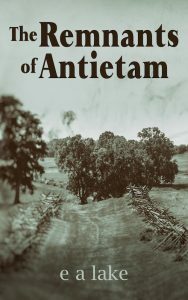 Who will be The Remnants of Antietam?